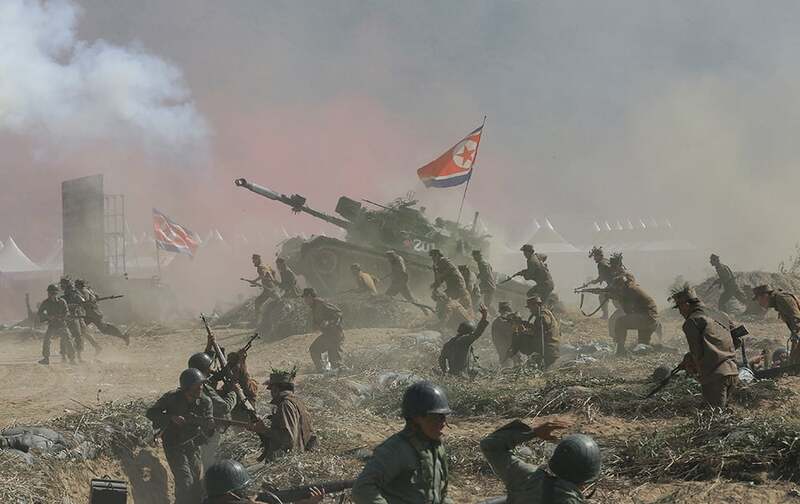 South Korean and US Army soldiers perform a fighting between United Nations forces and North Korean army soldiers during Naktong River Battle re-enactment in Waegwan, South Korea. 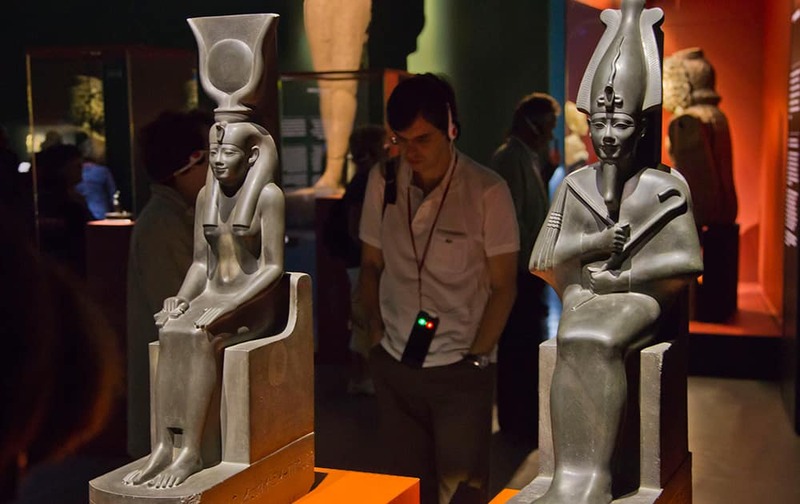 A man stands next to statues of Isis, left and Osiris, Saite period, 26 dynasty, reign of Amasis (570-526 BC), displayed at the Institut du Monde Arabe (Arab World Institute), part of the Osiris, Sunken Mysteries of Egypt exhibition in Paris, France. 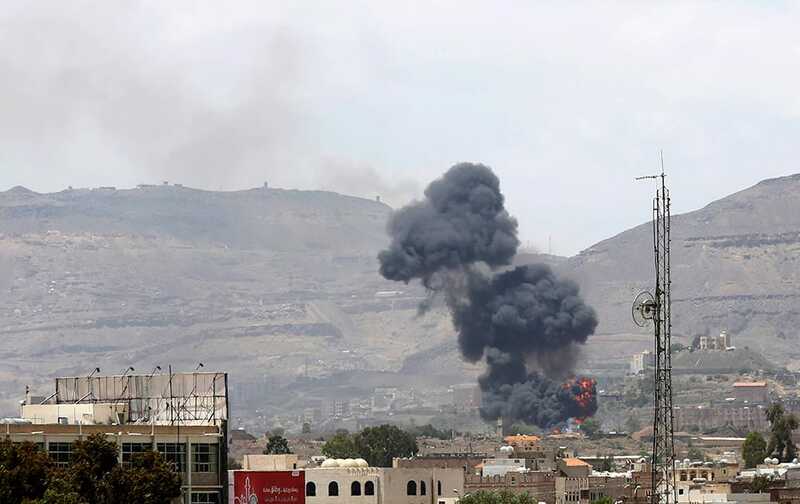 Smoke rises after an airstrike by the Saudi-led coalition at an army base in Sanaa, Yemen. 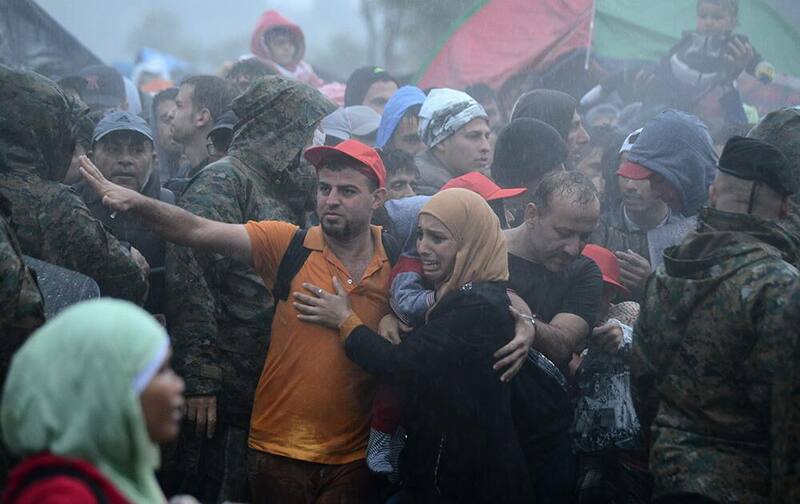 A woman cries as she waits with other refugees and migrants in heavy rainfall to pass from the northern Greek village of Idomeni to southern Macedonia. 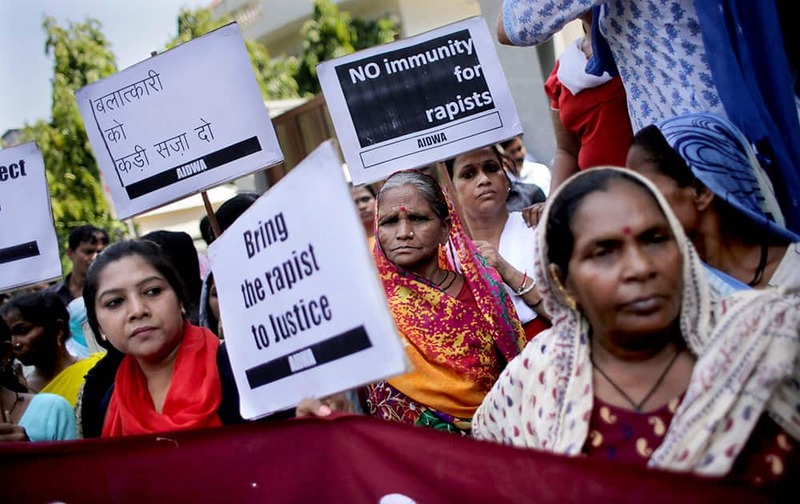 Activists of All India Democratic Women's Association hold placards during a protest outside the Saudi Arabian embassy in New Delhi. 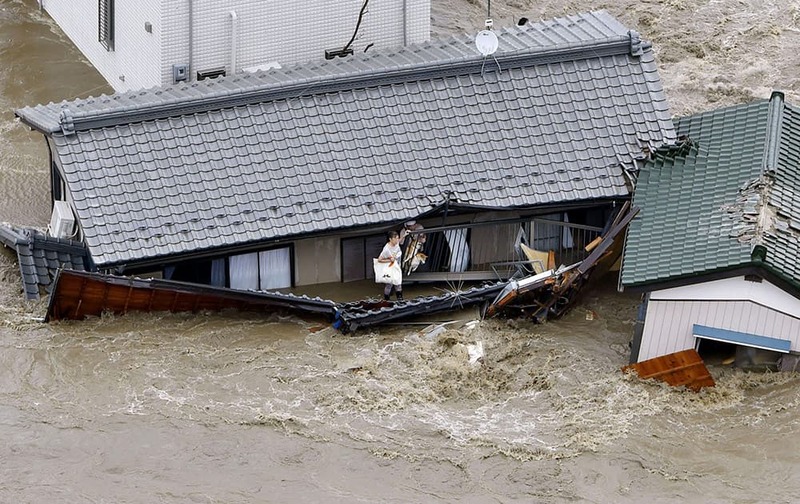 Residents and dogs wait for rescuers as the house is submerged in water flooded from a river in Joso, Ibaraki prefecture, northeast of Tokyo. Indian Border Security Force (BSF) Director General D.K. 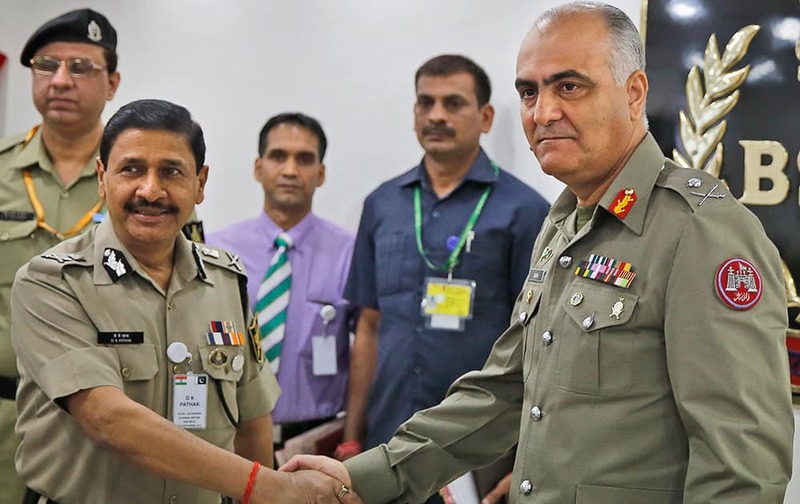 Pathak and Pakistani Rangers Director General (Punjab) Maj Gen Umar Farooq Burki shake hands as they pose for photographs before the start of their delegation level meeting in New Delhi. 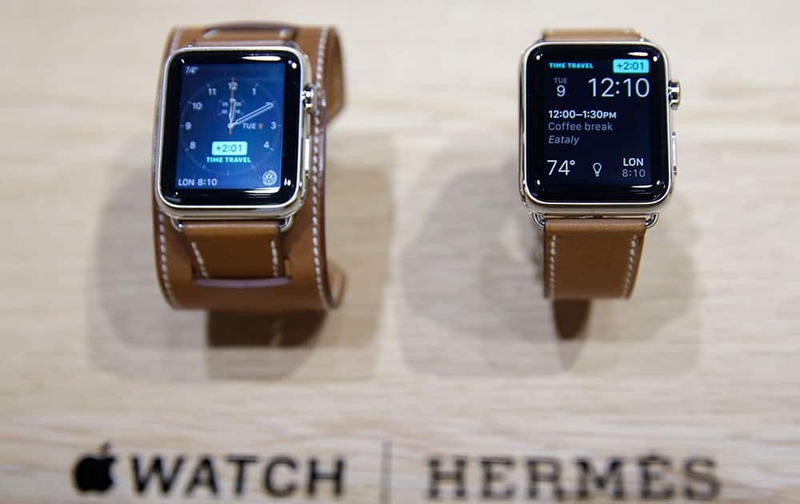 The new Apple Watch with a Hermes band is displayed following an Apple event, in San Francisco. 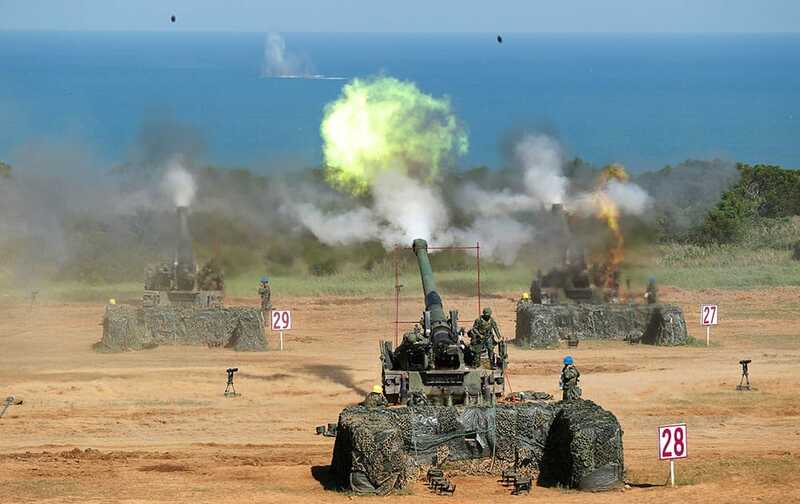 Taiwan's military fire artillery from M110A2 self-propelled Howitzers during the annual Han Kuang exercises in Hsinchu, north eastern Taiwan. 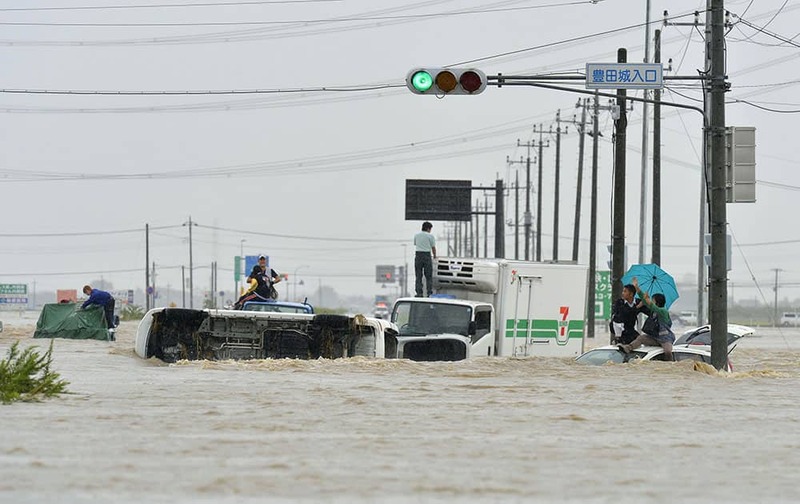 People wait for help as the vehicles are submerged in flooding in Joso, Ibaraki prefecture, northeast of Tokyo. A couple enjoys the sunset at the beach in Manaure, Colombia. 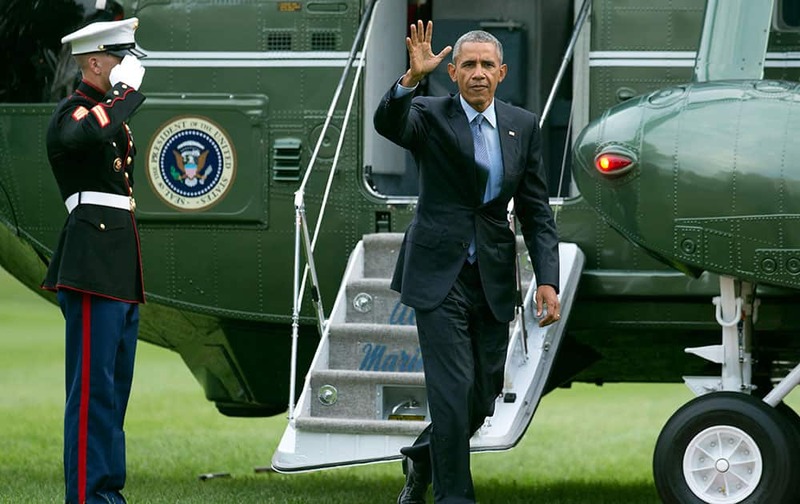 President Barack Obama waves upon arrival at the White House in Washington. 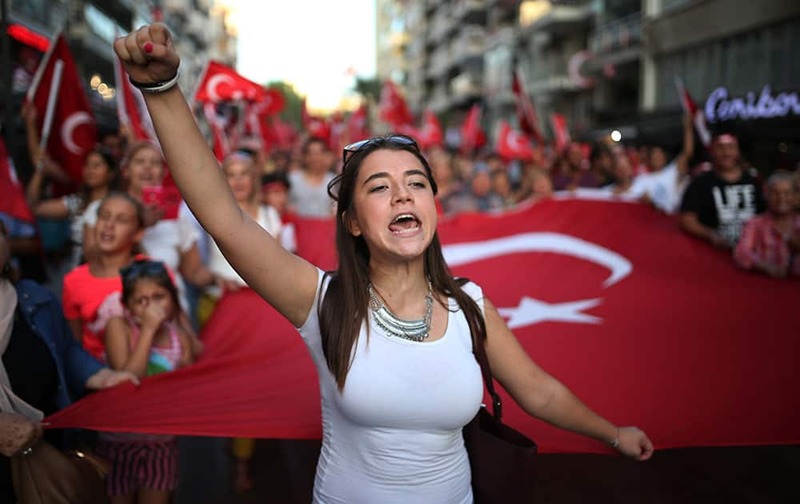 Thousands of people march to protest against the deadly attacks on Turkish troops, in Izmir, Turkey. Victoria Azarenka, of Belarus, reacts after a point against Simona Halep, of Romania, during a quarterfinal match at the US Open tennis tournament. 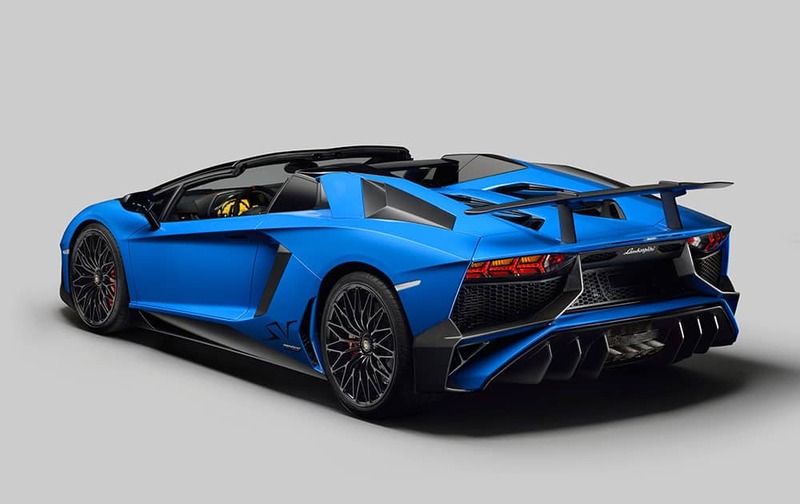 This photo provided by Lamborghini shows the rear and side of the Lamborghini Aventador LP 750-4 Superveloce roadster. The track-ready race car has a 740-horsepower V12 engine - up from 700 in the Aventador - and is 110 pounds lighter thanks to more use of carbon fiber. 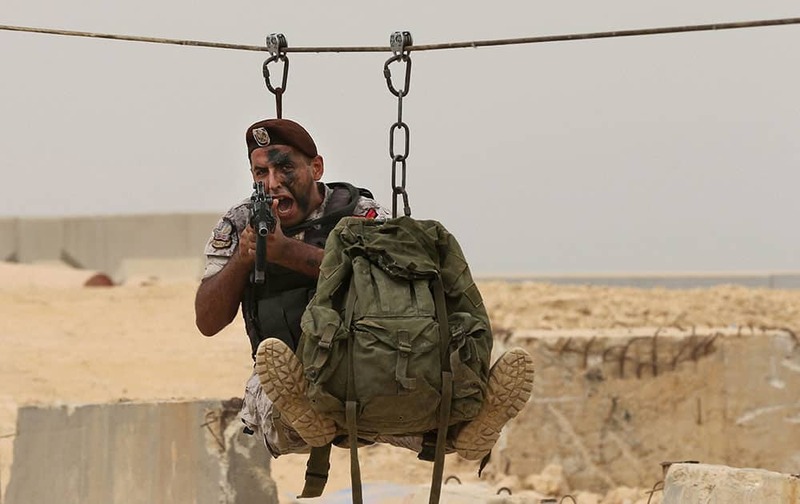 A Lebanese commando demonstrates his skills during an exhibition of the Security Middle East Shows (SMES), in Beirut, Lebanon. Police use water cannons on Panchayat Rojgar Sevaks after they tried self immolation in JD(U) state office in Patna. 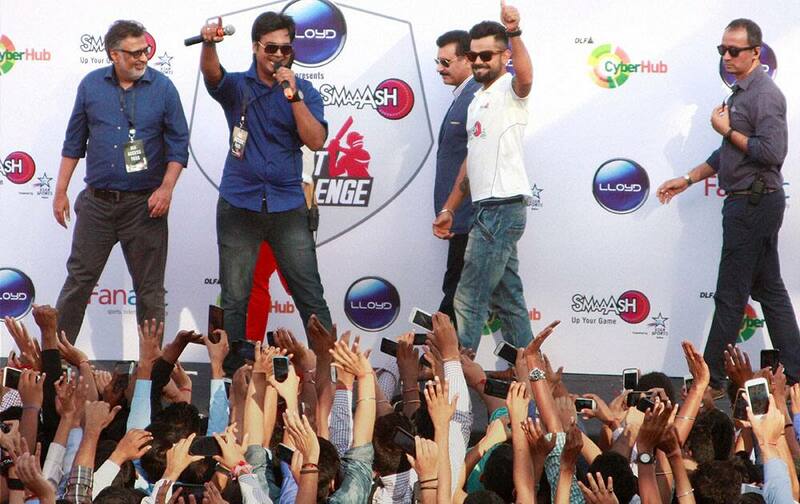 Cricketer Virat Kohli reacts towards fans during an event in Gurgaon. 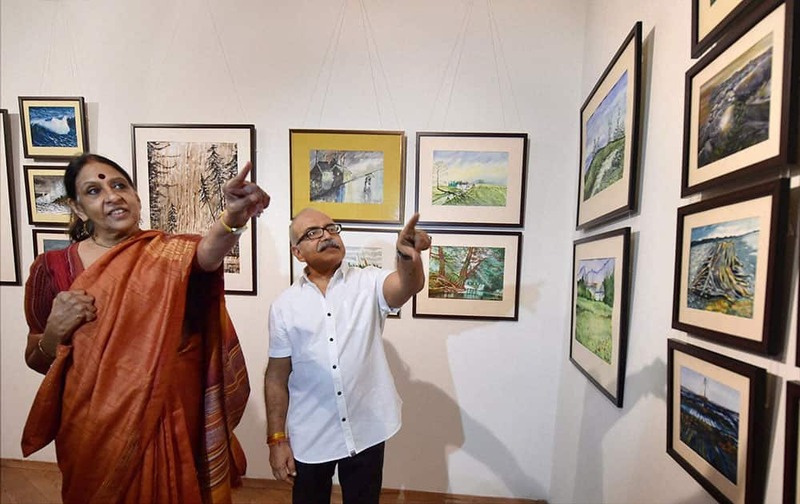 Bureaucrat Rakesh Agarwal showing his paintings to Jaya Jaitly at the exhibition titled Nature-Scapes in New Delhi. Human rights lawyer Amal Clooney arrives at the High Court in Male, Maldives. 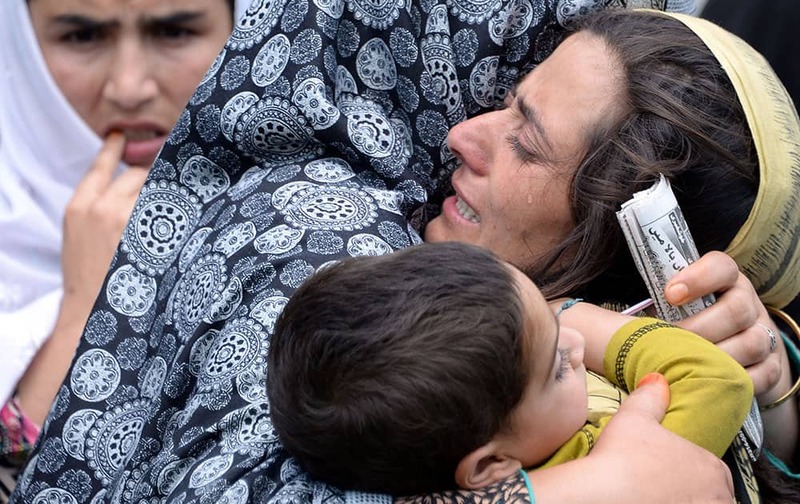 family members of Shafqat Hussain, who was convicted and hanged for killing a boy, mourn his death in Muzaffarabad, Pakistan. 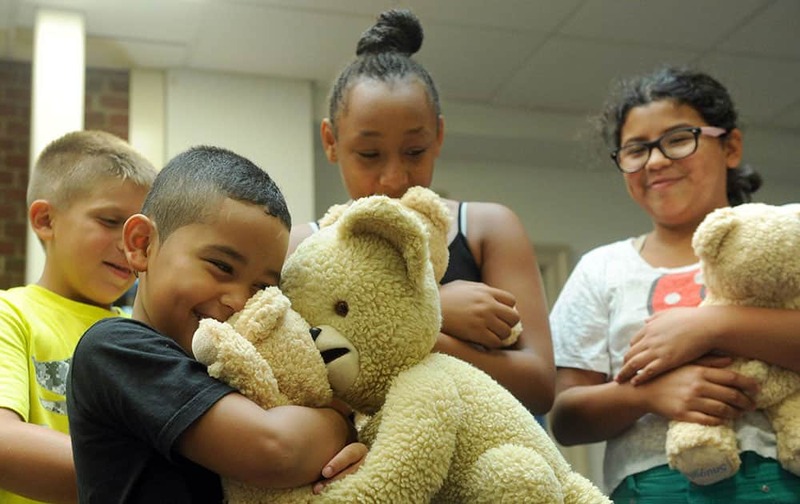 Snuggle Bear and Random Acts, a non-profit organization, celebrate National Teddy Bear Day (Sept. 9) with the Snuggle #ShareABear campaign to give away 5,000 teddy bears to kids in need.